Should a dealer with Zero sales file GSTR 1? A dealer has to file GSTR 1 even if he has no business activity in a month i.e. no sales in a month. 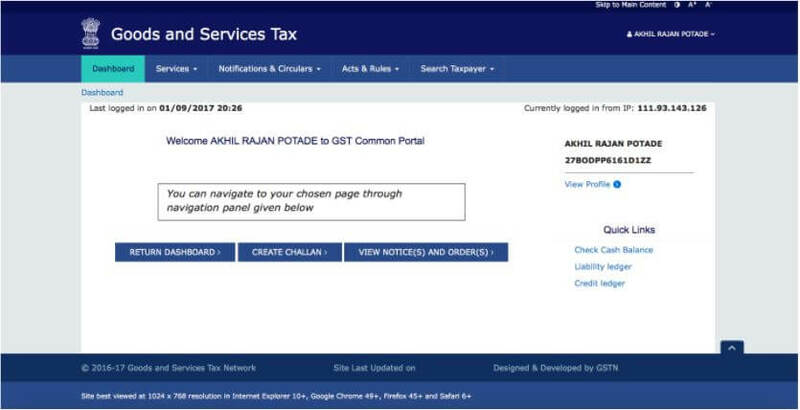 How to file Nil GSTR 1? Step 2 – Go to Services. In the drop down select Returns Dashboard. 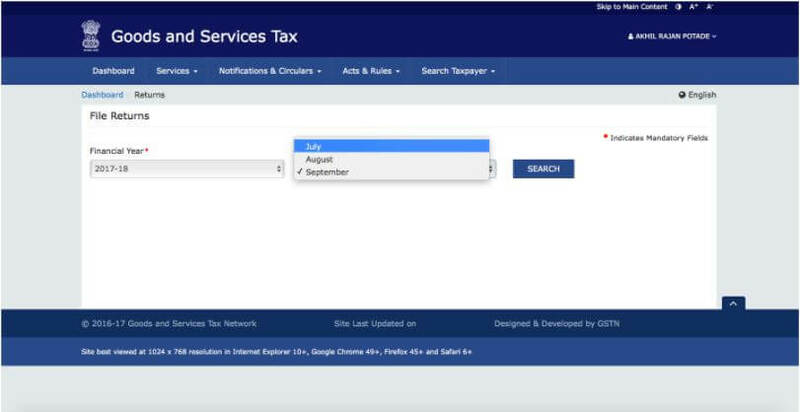 Step 3 – Select month and year of filing from the drop-down. 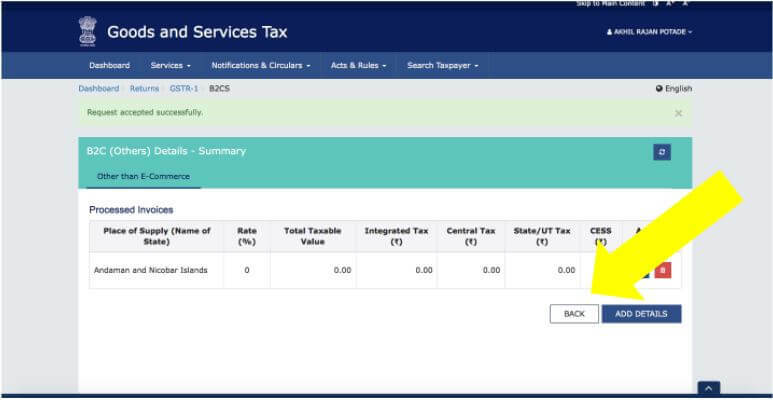 Step 4 – Click on Prepare Online under GSTR 1 tile. Step 5 – Enter details of Aggregate Turnover for Financial Year 2016-17 (i.e. for the period 1st April 2016 to 31st March 2017). Also Aggregate Turnover for the period 1st April 2017 to 30th June 2017 has to be provided. Step 6 – Under GSTR 1 – Others click on 7 – B2C (Others) tile. Step 7 – Click on ‘Add Details’. Step 8 – Choose POS (Place of Supply) from the drop down and enter 0.00 (ZERO) in other fields. Click on Save. Step 9 – Once saved you can see the details entered by you in a table. Click on Back. Step 11 – Select the check box and click on Preview. Step 12 – Click on Submit. You can file your return by either using DSC or using EVC. 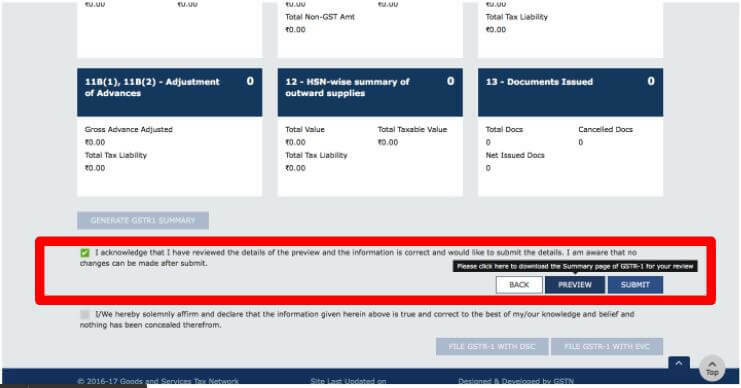 Based on the choice click on File GSTR 1 with DSC or File GSTR 1 with EVC and file your Nil GSTR 1. Once the return is filed an Acknowledgement will be displayed stating that the return has been filed. 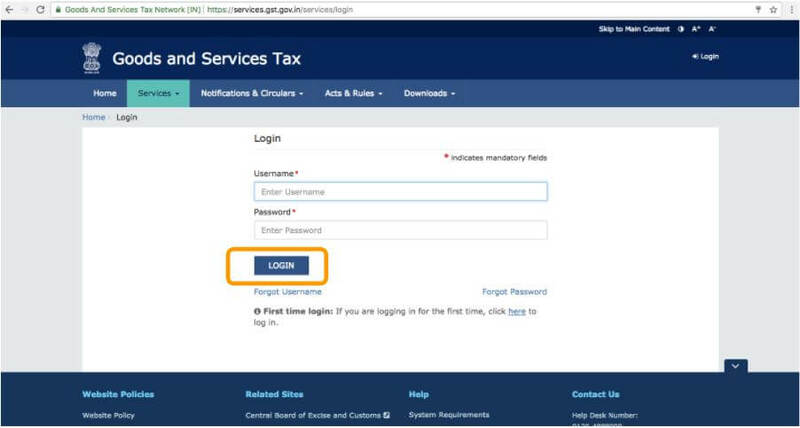 If you have transactions in a month and want to file GSTR 1 you can read our article Guide on GSTR 1 filing on GST Portal.